NOW THE DEVIL SAYS IN COMMENTS IN THE SAME BOOK: It is a false claim that Ali Ibn Abi Talib (R.A) had extra internal secret knowledge of the metaphysical world which was additional to the existing knowledge of Shari’at (Divine law) . Existing chains of Sufism or mysticism are based on this false concept. For the purification of mind and heart, whatever the prophet (alaihiswalathu wa salam) said is enough and also available in the books of ahadith. There is no extra hidden knowledge. We can see that how the devil is deceived this fools and how they are deceiving others by their wickedness and misguidance. And the devil’s agents and their fortress of misguidance and deception will be defeated and wiped out!, by the Will of Our Lord truth will be victorious and devil and his party will flee from lands of holiness! The exception is that, people does not/may not know the complete understanding of the Book of Allah. That is a blessings which Allah, granted to a few high eminent companions and Imams of Ahlul Bayth and Awliya Allah. If everybody is equal in knowledge and wisdom, then what does it mean, Khulafa Rashideen? What is that knowledge which Hudhaifa Ibn Al Yaman (R.A) received from the Prophet which some other companions did not receive? Did Hudhaifa Ibn Al Yaman (R.A) revealed to public all the knowledge which he received from the Prophet alaihiswalathu wa salam? The misguided guys twisting Hadith and falsely accusing “ahlu Sunnah sufis” that it is falsehood to believe in such knowledge? So, are those knowledge which Hudhaifa (R.A) received from the Prophet alaihiswalathu wa salam, written in Hadith books? How can you equalise the deep knowledge of Quran and Hadith of Prophets and Companions with other people by saying everything is revealed and have access to everyone through books and there is no hidden secret knowledge? So Abu Huraira (R.A) had a secret hidden knowledge received from the Prophet alaihiswalathu wa salam, which he did not narrate in the Hadiths! So the Wahhabi Shaitan denying that knowledge of Abu Huraira (RA) which is from the Prophet (Alaihiswalathu wa salam) in other words Wahhabi denying the Prophetic knowledge which is received by some chosen companions! So not accepting Prophet alaihiswalathu wa salam, completely (see Quran 2:208) with full submission, such ones are in the footstep of Satan and such ones cannot have real faith (Quran 4:65) !. So you are busy following Wahabi hypocrites? Quran 2:208 O ye who believe! enter into Islam whole-heartedly; and follow not the footsteps of the Evil One; for he is to you an avowed enemy. Quran 4:65 But no, by your Lord, they can have no Faith, until they make you (O Muhammad SAW) judge in all disputes between them, and find in themselves no resistance against your decisions, and accept (them) with full submission. Therefore, those Wahabis and their Thabi’eens (followers) who does not enter in Islam completely (accepting everything revealed by Prophet alaihiswalathu wa salam and the Sunnah of rightly guided Companions) and they can have no faith, without believing in all knowledge whether secret or those which is revealed to the chosen ones! In the End of Times, the Pious people (Abdaals) of Syria and Awliya of Baghdad (Iraq) will recognise Imam Mahdi (A.S) by their spiritual knowledge. We do not think they will refer revealed Hadith to become spiritually enlightened and study under a Wahhabi Shaykh and graduate with a Yahoodi diploma!!! When the Shaitan who translate and publish Quran hadith books and add his own falsehood into the hadith collections to mislead people, reading and following such Quran Tafsir and such hadith books become forbidden for those who seek straight path. The fool preach in the comments that there is no extra hidden knowledge. Beware of following such fools. Allah Subhana wa ta’ala blessings a man with the understanding of Quran is the greatness of that knowledge which is hidden from other people, and Allan grant this to “Ulool ilmi. Ulool albaab and ulool amri. 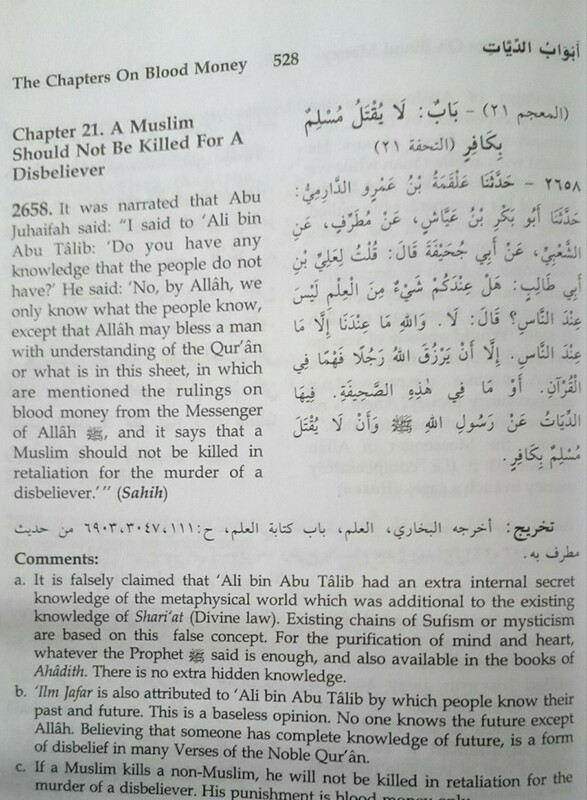 So now the Wahhabi Shaitan undermining the Wisdom of Quran and saying there is no hidden knowledge. How come then new facts are discovered this days which is mentioned in Quran, but that information were hidden to previous book scholars and they are astonished now? 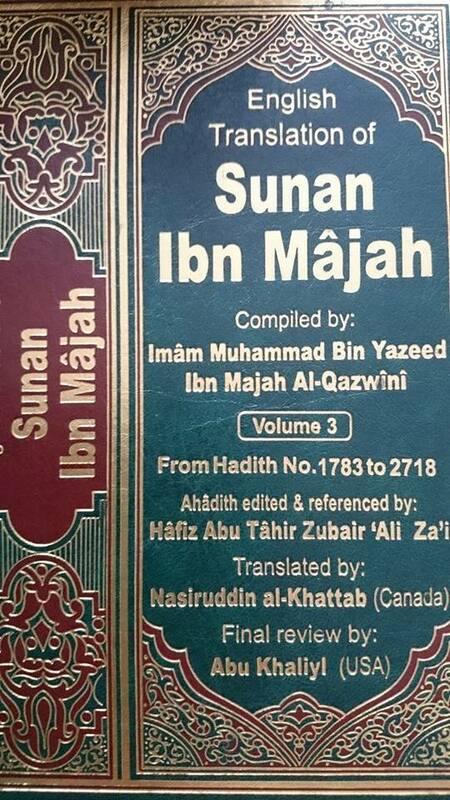 The Shaykh of the translators and publishers of this hadith books is Satan. So this is the time for the misguided ones to wake up and surrender to those who are true! Even the Hadith knowledge which started to write down 200 years after the Prophet alaihiswalathu wa salam, was hidden knowledge, given from heart to heart from those who learned it. This is why you do not find every Hadith from every Sahabi. We don’t compromise with falsehood, whether you have a problem with our words or not!